In the past we have helped many companies establish their brands, and built a solid foundation with them for their businesss. We’re proud to offer our expertise in building strong foundations for new and even existing companies of all shapes and sizes. But for some of our clients, the journey can seem daunting. With so much information available out there, and so many companies promising the best for your business, it’s often hard to take that first leap into establishing a strong brand, whether your fresh out the gate or 20 years established. At Kihada, we like to make things as clear and easy to understand as we can for our clients, from the minute they walk through the door or give us that first call. But what if you don’t even know the basics? Fear not, because we’re here to make sure you know how to unlock the hidden potential in your business, starting with the brand. So let’s start at the beginning. One of the first things our clients usually think they require is a logo. 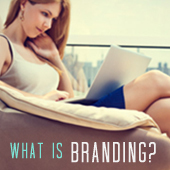 This is a common misconception; that your brand begins and ends with a logo. There’s so much more to your brand! The logo is of course, a very important component, but before we get there there’s a few more steps we have to get through before any design can take place. But don’t worry; those steps are all just as fun as the design portion! Let’s focus first on the real heart of the matter, and the question you’re desperate to ask every branding and design agency – what is a brand? The first thing that people will interact with when it comes to your business, is the brand – whether it’s by taking your business card, visiting your website, seeing your booth at a corporate event – this is the moment your potential client meets your business. And with all good first impressions, we want it to be positive, lasting and memorable. Your brand should be able to successfully communicate in that brief instance of contact all the vital parts and pieces that make your company stand out from the others – your history, company values, personality, and most importantly what you do. With well-established brands such as Nike or Starbucks, their company name is not even present in their latest logo designs. This is because thanks to strong brand strategy in place, the brands speak for themselves. Think back to what the word ‘brand’ use to mean – it means putting your personal seal of approval on your product, service, organization – like a cattleman would brand his prize cow – and this still rings true today. What a good brand does it not just communicate your ethos and company philosophy or message, but that hard earned reputation your company has worked to achieve. The most powerful thing your brand can do for you is let a consumer know in their gut that yours is a trustworthy, dedicated and honorable business, before they’ve even walked through the door. As human beings, we are all prone to that emotional response. It’s what makes us human! If you read our article on the John Lewis Christmas advert, you’ll know that emotional connection is one of the strongest marketing tools out there – how many of us use the same brand of shampoo or baby powder that our Mothers and Grandmothers did? – A great brand should evoke an emotional response in your consumers, whether it’s from the happy, warm colour palette, the beautiful photography that reminds them of home, or even the friendly and genuine service they receive. Your consumers will relate all of these things to your company through the brand, and trust that warm, fuzzy feeling in their hearts that tells them to love your business. As expert brand builders, we take all of these things into consideration when we work with our clients and their businesses. Building a brand takes more than a quick bit of graphic design or fancy typrography, and we’ve got the know-how to really make your brand something amazing and memorable that will not only bring in more consumers, but solidify what your company represents as a whole package.